Is Your Real Estate Agent Lying to You? Real Estate Agents Lie - just like everyone else. 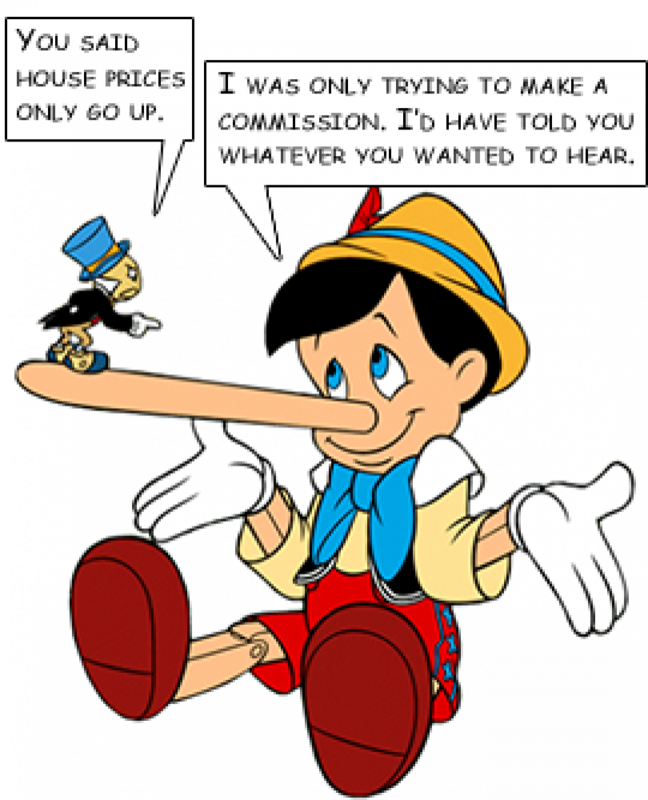 Real Estate Agents have a saying, "Buyers are Liars!" And well...I hate to break it to you - but they are right. Buyers are liars...and so are sellers. Ok...we've established that everyone lies - buyers, sellers, and of course real estate agents. 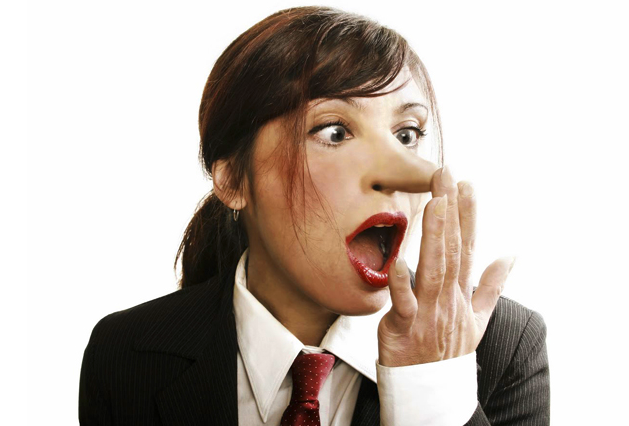 The purpose of this blog isn't so much as who's lying to who - rather it's to point out the lies that bad real estate agents tell...on an all too frequent basis. But before we "drop the mic" on this...let's pause briefly to state "WHY" we are writing this blog. It's simple really - we are in the habit of protecting our clients - and even those who are not our clients. When we see people get taken advantage of - it bothers us. Sadly, we see a lot of people who get taken advantage of by rogue agents...what's more, these people tend to pay dearly because of it! We're not saying that every real esate agent is a bad one - or that they are bad people. There are plenty of good people who have chosen a career in Real Estate. There are good Real Estate Agents out there, and they share our frustrations considering the ilk that is polluting their industry by resorting to heinous actions. It's these agents we work with and support. Real Estate Sales, as a career, entices people with the prospect of financial gain and quick riches. It's a career where education is not paramount, but rather a "minor requirement" that is easily overcome. Couple that with loose accountability and suggested ethical practices - and it's easy to see why so many people enter the field...unfortunately this includes those who are not afraid to act unscupulously in order to further their careers. 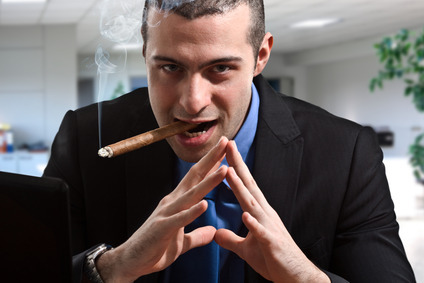 It's these "machiavellian" types we want to exploit. The ones who are, "emotionally detached, prone to deceive and believes that the end justifies the means, even if it is not morally right." to quote Prof. Abdul Aziz, Associate Professor of Management - Baltimore. These rogue's are master manipulators and experts in charm. They are great at identifying your needs, and even better at pointing out needs you didn't even know you had! All that's missing is their moral compass...otherwise, I'm sure they would be great to have over for Sunday brunch. We hope the information here provides you with some good information so you can avoid being taken advantage of. Most of us have a "B.S. Meter" and are able to sniff out trouble just fine - but it never hurts to have the inside track sometimes - especially when your money is on the line. If YOU are a Real Estate Agent reading this - use this handy little blog to improve. If you can capitalize on this information - you will be better for it and that would be wonderful. Be sure to read to the end - I've got something just for you! 1. "Inventory is running out and you won't see a better deal than this." While there may be a grain of truth in this, it’s usually BOGUS. When and agent tell you something like this – it’s to get you to act on impulse and write an offer. Nothing more, nothing less. The sooner this Agent can get you to write an offer - the sooner they can lock out their competition on the home and the sooner they can start fantisizing about their giant commission cheque. If your agent tells you this - ask them to show you the depths of the research they completed that helped them arrive at this conclusion. If they can't substantiate the claim - turf them. Move on to a better agent. 2. "There are other people ready to put in an offer if you don't act fast." Again...it's entirely possible this is a legit statement - but probability says otherwise. This statement is not much better than the last. Again - it's used to get you to act on impulse. It is almost copmletely without merit. Don't fall for this. Consider for a moment if it was true...ask yourself - WHY haven't they put in their offer yet...especially if they are ready. If your agent tells you this - turf them. Move on to a better agent. They are only interested in locking up a sale and couldn't care less if you buy a house you shouldn't have because you acted on impulse. 3. "The sellers are not prepared to negotiate much on the price." This statement is complete fiction...that is to say, a complete fabrication and utterly not true. This little beauty here comes purely out of desperation and/or greed. But who's desperation and who's greed? While it's possible it is the greed of the sellers - this is rare...seller's want to sell. It's more likely the Listing Agent or the Buyer's Agent has concocted this in order to try and fatten their wallet. Here's what you need to know about the price of a home...a home can only be bought and sold to the degree the market can bare it. That is to say, if the house is priced correctly - it will sell. If it's not priced correctly, it won't sell. If a seller has their home listed at something outlandish - and are not prepared to negotiate - they are probably not ready to sell. Save yourself the grief and don't even look at the home if you think for a moment the home is over priced. If your agent is quick to back pedal and sees you are ready to walk - that's a good indicator it was a fabrication. This would be a good time to turf this agent. 4. "You can't lose when you buy a house - the value always goes up." This is a dangerous statement. And any Real Estate Agent that says it - is stupid. If this were an actual truth - we wouldn't have the term, "Underwater", as it relates to having a mortgage on a home that exceeds the real value. If your Agent says this...run - don't walk. Distance yourself from them as quick as you can - It's hard to get "Stupid" out of your clothes...it's worse than ink. 5. "I can get you the most money for your home." Let's refer back to that statement above, "a home can only be bought and sold to the degree the market can bare it." It doesn't matter WHO you get to list your home...your home will sell if it's in an acceptable field of play of what the market can bare. If it's priced too high it won't sell. You know what happens when you put in an offer on a house that is deemed to be over-valued? The Mortgage Insurance companies quickly respond to tell us they believe the home is over-valued. Usually an appraisal is ordered - and often times this expense is picked up by the Mortgage Insurance company...but not always - you could end up covering the cost...today that's just over the $300.00 mark for an in town appraisal - it only goes up in price if the property is located out of town. If the appraisal comes in too low - guess what, the insurer says they won't proceed...unless of course the purchaser covers the difference of the appraised value and the purchase price...then the insurer may proceed. Oh...and a word on the information these Mortgage Insurance companies can access...it's nearly limitless. The only homes that could potentially be exempt from their knowledge base would be custom built new homes or homes that have never been sold by a real estate agent before. Mortgage Insurance companies record all sales data from the MLS system...which is the system used by all Real Estate Agents! On a side note...a lot of people are quick to hire agents who are a bit "ethically-unrestricted" because they know that agent will do and say whatever is necessary to sell their home. It's the luxury of having someone willing to bend the rules to their advantage without having to take responsibility for any unsavoury statement or action. No matter how you look at it - this is nothing more than the actions of the "Willfully Ignorant", to paraphrase Irvine Renter of Orange County, California. 6. "If you buy a home privately you are not protected under the law if you get a bad deal." That's a mouthful...and although they may not say this verbatum - any parallels should be suspect. The obvious reason they would say this is because they will say anything to prevent you from buying privately because they may not get paid. It's easier to throw a little unfounded fear at you though rather than admit to them not getting paid as the reason for the statement. Thankfully - this is a load of crap. Of course you would have recourse. The Law - for all transactions where money is involved - is exercised on the simple preface of "Caveat Emptor"...which is latin for, "Buyer Beware." That's right folks...the Caveat Emptor principle applies here too. But this one is actually more agrivating - because you would think you would be better protected - after all you did use a Real Estate Agent...they just gotta bare some culpabilty don't they? I'm sorry to be the bearer of bad news - your Agent will simply hide behind any mountain of nonsense they can find...typically they will say something like, "The Seller must have lied to us." or, "That wasn't disclosed to us by the Seller." Then they'll tell you that you can sue the Seller in court...they'll even suggest Small Claims court to save you some money. That's right folks...all that money your Real Estate Agent made from the home they sold you...does SFA (Sweet, [email protected]! All) for you. Don't buy in to this lie...it's a fear tactic - nothing more. 7. "It doesn't cost the buyer anything to use a Real Estate Agent, the Seller pays." Can we pick favourite's on this blog? Cuz if we can - this little beauty right here is my favourite amongst those professed by some Real Estate Agents. It is the most BLOATED statement of misdirection possible. OF COURSE IT COSTS THE BUYER!! Where do you think the money to pay the Real Estate Agents is coming from? It's not coming from the Tooth Fairy. All of it - in its entirety - is coming from the Buyer's pocket...including any mortgage they may have borrowed. This statement, more than the others, in my opinion - should result in an immediate termination of the Real Estate Agent who says it. It is simply a statement of misdirection so the buyer doesn't consider the actual cost of the commission...which is ADDED and FORMS PART OF the purchase price. 8. "I shouldn't be telling you this, BUT..."
Any statement that follows this is probably a stretched truth...or a complete fabrication. Consider, if this were a true statement...the agent has opened themselves up to any number of potential privacy breaches. If a Real Estate Agent is willing to do that - regardless of possible advantage - they can't be trusted. How do you know they haven't or won't do the same thing to you down the road? 9. "It's a Great Time to Buy/Sell a Home." ...anytime they are getting paid is a Great Time! By no means is this a comprehensive list - there are plenty of other examples out there we are sure. These are the ones that we hear more than others though. As it is, the industry is a pressure cooker. The mentality is "eat or be eaten." Most new agents subscribe to the belief that if they don't convert a customer at their first opportunity - they will lose a sale, so it's not unusual for them to resort to manipulative practices in order to achieve their end...what they fail to realize is that using fear tactics and manipulation is only a short-term strategy and success is fleeting. The good agents know this and avoid this behaviour. Here's the little nugget for all you eager Real Estate Agents that want to be successful and want to be better than what is currently representative of your industy...it can only happen once you resort to purely ethical sales. Granted, this approach takes a lot more time and energy to succeed - but the longevity of this success is far greater a reward than you can imagine. Treat clients with proper respect and you will earn their business...and likely the business of their friends and family. 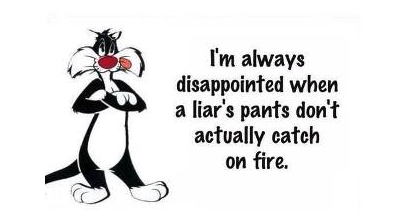 Think the lying game is only applicable to the Real Estate Agent - GUESS AGAIN! The Mortgage Community is just as guilty...which is the next blog discussion! That's right - mortgage brokers and lenders are not exempt - not for a minute. Be sure to watch for our next installment. It's a chance to look behind the vale of your Bank/Broker. It'll be an eye-opener - that's for sure!! Below is a cute little video..It's more appropriate for our last Blog entry - but good enough to stick in here! Everybody lies! Don't beat yourself up about it...just try to be better.